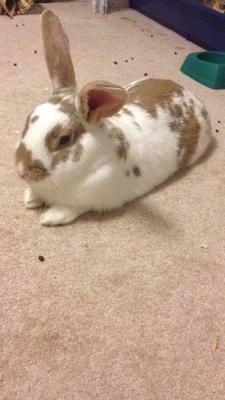 I'm new to this forum, I've been looking on websites for awhile to figure out what is happening to my rabbit 'socks', she is almost 9 years old, last Christmas I seen that she was going blind in one eye and now sock is completely blind. 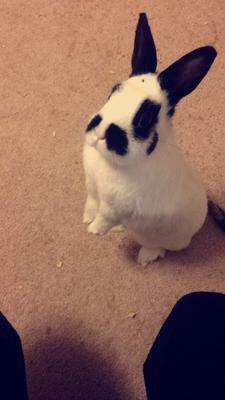 I also have two other rabbits as well. 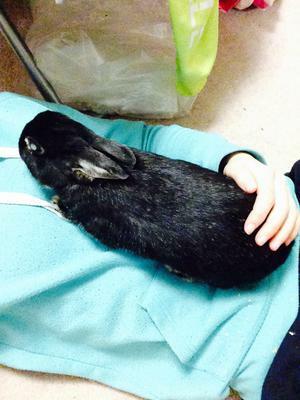 I have two dawarf rabbits and one Rex rabbit, their names are socks, toffee and munchie. While I was petting socks today I realized this scab she has right where her ears come back and sit, there no hair around the area and there is also some scabbjng. 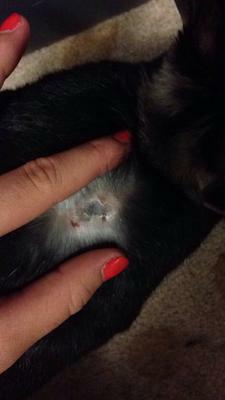 I'm not too sure if it's just dry skin, I've been looking on the web and trying to find out what to do about it and what it actually is, so I was hoping you guys could help me figure out what it is and how to treat it so she doesn't have this anymore.